Patricia A. Wenger is a Registered Attorney with the U.S. Patent and Trademark Office. She has been an Attorney for 26 years, and has been admitted to the Pennsylvania Bar. Ms. Wenger concentrates her practice exclusively in Intellectual Property Law. She focuses on obtaining, defending and maintaining Patents, Trademarks and Copyrights for her clients. In addition, Ms. Wenger advises her clients on issues of intellectual property law and licensing. Ms. Wenger creates Patents for inventions in technology areas that include medical devices, medical processes, mechanical devices, business methods and computer software. Clients represented by Ms. Wenger include medical device companies, retail companies, computer software companies, financial planning companies, and individual inventors, including numerous physicians. For the past nine years, in addition to practicing law, Ms. Wenger has been an instructor of Intellectual Property Law, providing certified mandatory Continuing Legal Education to Attorneys practicing in Pennsylvania. Lawyers who have taken Ms. Wenger's course include then sitting Secretary of Homeland Security Tom Ridge. Prior to establishing Wenger Law Offices, Ms. Wenger practiced with a business law boutique firm in Doylestown, PA, and was affiliated with various veteran solo patent attorneys. 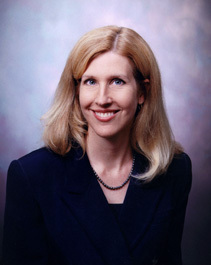 Ms. Wenger has conducted 16 jury trials and numerous trials and hearings before Judges. Ms. Wenger has argued before the Pennsylvania Superior and Supreme Courts, and the Federal District Courts for the Middle and Eastern Districts of Pennsylvania. Before attending Law School at The Dickinson School of Law in Carlisle, Pennsylvania (then the oldest independent law school in the Nation,) Ms. Wenger was a Legislative Assistant for the United States Congress in Washington, D.C. Ms. Wenger’s technical background is in biology. In 2007, as one of only 12 nationwide representatives, Ms. Wenger was invited by Patent and Trademark Office Director Dudas to participate in a Roundtable Discussion on the now historic proposed patent claims and continuations rule changes; the Discussion was held at the Patent Office and attended exclusively by top level Patent and Trademark Office officials, including Director Dudas and Commissioner Doll. Ms. Wenger currently serves on the Board of Directors of the American Society of Inventors, founded in 1953, is an Athena Powerlink Advisory Panel Member and is the Chairperson for the Entrepreneur Law Committee of the Chester County Bar Association. She has also been involved with the Medical Device Manufactures Association, Philadelphia Intellectual Property Law Association, American Intellectual Property Law Association, Licensing Executives Society, Entrepreneurs’ Forum of Greater Philadelphia, Delaware County Intellectual Property Law Forum, Copyright Society of the U.S.A., and Benjamin Franklin American Inn of Court.